Wellington's Rock n Roll Hurricane are storming into Hawkes Bay this month for two electrifying shows that you won't wanna miss!!! Friday 25th May at Hasting's sonic temple: The Common Room and Saturday the 26th May at Napier's alter of rock n roll: Paisley Stage. 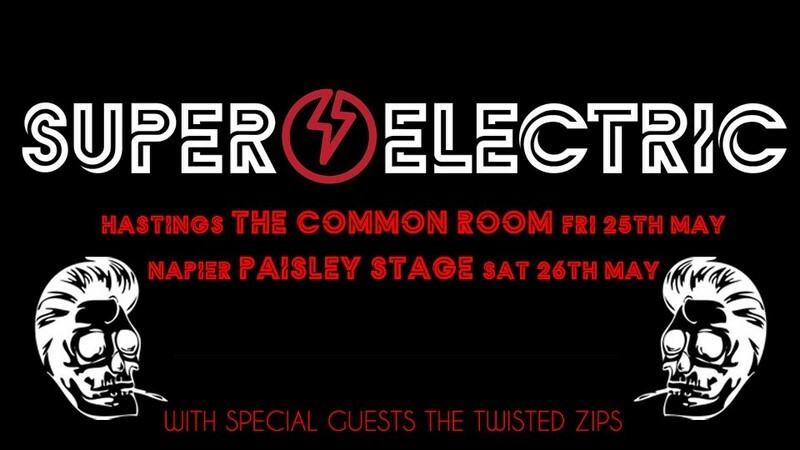 If that weren't enough, Napier's next generation of rock n roll insanity "The Twisted Zips" are playing support for both shows.